Live Talks LA is a dynamic series of on-stage conversations featuring leading business thought leaders and executives. The talks focus on entrepreneurship, leadership, social responsibility, business trends, marketing, technology, innovation and the economy. Phil Buchanan will be in conversation with John Kobara, COO, California Community Foundation to discuss some of the key points to consider from Buchanan’s newly released book, Giving Done Right: Effective Philanthropy and Making Every Dollar Count. 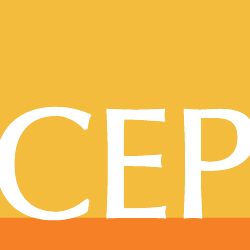 The Center for Effective Philanthropy (CEP)’s biennial national conferences bring together foundation leaders and major donors to engage with the most pressing issues in philanthropy. The 2019 CEP Conference, Stronger Philanthropy, will be held May 7-9, 2019 at the Hilton Minneapolis. The conference will feature talks from influential and thought-provoking leaders and thinkers, as well as focused breakout sessions and ample opportunities to connect with peers. Come join Northern California Grantmakers for a unique conversation between Phil Buchanan, President of the Center for Effective Philanthropy, and Jacqueline Martinez Garcel, CEO of the Latino Community Foundation. Buchanan and Martinez Garcel will explore the unique challenge of giving effectively. In his new book, Giving Done Right: Effective Philanthropy and Making Every Dollar Count, Buchanan argues that, after years of rampant bad advice for donors from consultants, business school faculty, and other so-called experts – much of it rooted in inadequate analogies to business and investing – it’s time to cut through it all and help givers understand that effective philanthropy is a challenge like no other. Martinez Garcel and Buchanan will discuss what it takes to do it well, and what can be learned from the unique and crucial role giving and the nonprofit sector have played in this country. Powell’s Books, the Oregon Community Foundation, and the Center for Effective Philanthropy (CEP) invite you to join this special event celebrating the release of Giving Done Right: Effective Philanthropy and Making Every Dollar Count by Phil Buchanan, Oregon native and president of CEP. Buchanan will be in conversation with Max Williams, president and CEO of the Oregon Community Foundation and Kimberly Cooper, philanthropist and member of the Oregon Community Foundation’s board of directors. A book signing will follow the program. CEP currently has no scheduled webinars. Please check back regularly for updates.